As the Senate Intelligence Committee’s ranking member began his opening remarks regarding the intelligence community’s formal assessment that Russia attempted to interfere in the US election, the lights went out. 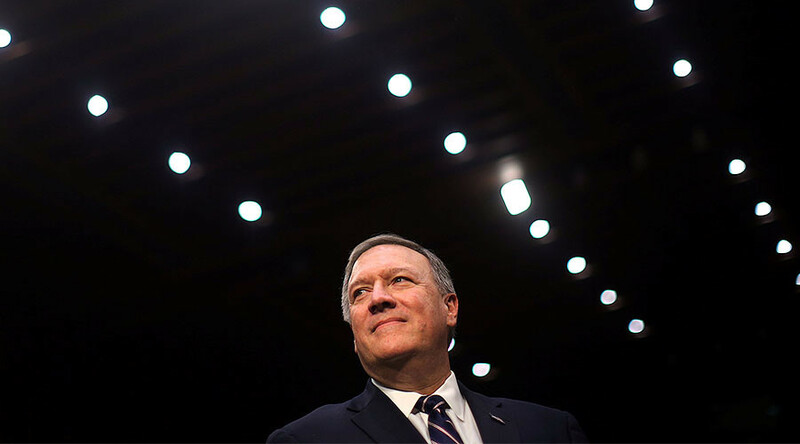 Senator Mark Warner (D, Virginia) continued his remarks without a microphone on Thursday morning as lawmakers, the nominee candidate Representative Mike Pompeo (R, Kentucky), reporters, and protesters sat in darkness, first reported by The Hill. Lights out @ Senate Intel hearing for @CIA nominee Pompeo just as @markwarner talks on #Russia hacking. Chairman Richard Burr (R-North Carolina) called a recess shortly after. Former Senator Bob Dole was in attendance and was due to speak in support of the Pompeo. The hearing was moved to another room. A spokesman for the Architect of the Capitol said electricity is out in two Senate office buildings, interrupting a hearing for President elect-Donald Trump's nominee to be CIA director, according to AP. Power was out in most of the Hart Senate Office Building and in some of the adjacent Dirksen building. Crews were working to restore power. At his confirmation hearing Thursday, congressman Mike Pompeo of Kansas said it's pretty clear Russia worked to hack information and to have an impact on American democracy. Several questions were asked by Senators about the CIA's legacy of enhanced interrogations, a euphemism for systematic torture, under the Bush Administration. The CIA created a policy of secret renditions, black sites, and torture techniques such as waterboarding (simulated drowning), brutalizing detainees, rectal feeding, beatings, bindings in stress positions, defending noise, sleep deprivation, and deprivation of food, water and medical care. Pompeo was asked if he would resume enhanced interrogations. He replied "Absolutely not....Can't imagine I would be asked that." When asked about Wikileaks, Pompeo says Assange "not a credible information source." Senator Angus King (I, Virginia) asked him then about his Twitter comment about Wikileaks. Pompeo replied "that was before I was nominated."